Mattei compressors have been working for 30 years in the prestigious Italian company Nolangroup. Made in Italy design and production are two aspects that link Nolan Cash helmets and Mattei compressors joint by a long-standing partnership. 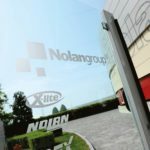 NolanGroup has its headquarters in Brembate di Sopra, where in 1972 it all began thanks to the intuition of Lander Nocchi to utilise LexanTM *, an innovative plastic material that NASA had just made available for commercial uses. 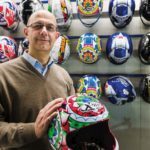 His intuition turned out to be spot on and today the Group is a 40 million Euro business, with 370 employees and a site extending over an area of 30,000 square metres, where 400,000 helmets are produced every year. «It’s an impressive amount of compressed air that is required to run a plant like ours, that manages all the different production phases of a helmet. Here the plastic arrives as granules which leave as helmets to be worn by the great MotoGP and Superbike riders such as Casey Stoner», explains Alberto Corna, Technology Manager, Nolangroup Spa. Alberto Corna, Technology Manager di Nolangroup Spa. All the production happens at the site in the Bergamo province. «We are a company that goes against the trends. 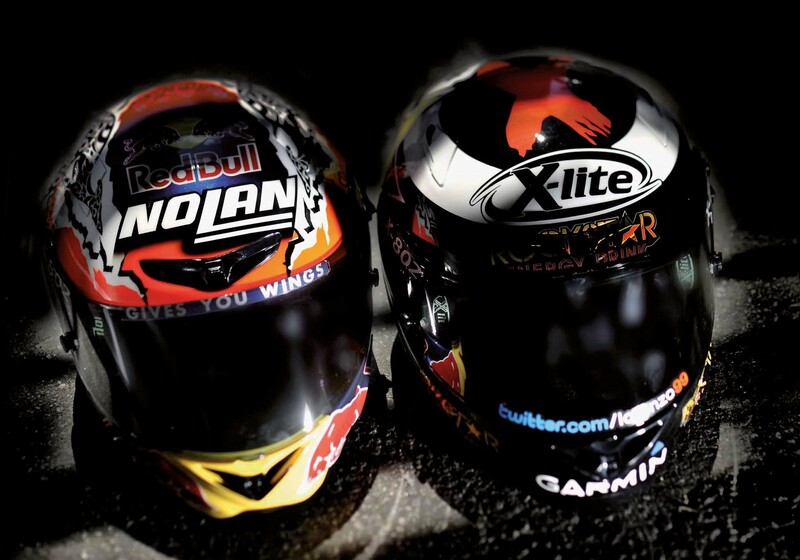 In Italy we have the full production cycle of Nolan and Grex polycarbonate helmets, the X-lite composite materials brand, and then N-Com; customised communication systems between helmets». Corna continues: «This choice responds, amongst others, to the need to enhance Made in Italy as a symbol of quality and reliability. Our helmets are actually guaranteed for 5 years from the date of purchase, for any defect in the material or the production». In NolanGroup the Italian trend continues with the compressor technology that supplies all the pneumatic devices of helmet production process. Above, Optima 110 comopressor. It is a variable speed compressor that comes into play when the production is at full capacity to ensure the correct operation of the factory. The Italian trend continues with the compressor technology that supplies all the pneumatic devices of the NolanGroup helmet production process. «The Mattei compressors were a perfect match for NolanGroup», underlines Corna. «The demand for compressed air covers all manufacturing departments from design to homologation. The most costly process is the removal of the mold from the molding machine after the molding of the polystyrene. To avoid damaging such a delicate material we only use the force of compressed air to carry out this operation. The polycarbonate injection moulding stage is also very intense with working cycles 24 hours a day, six days a week. Mattei compressors also supply all of the other parts of the plant: from the workmen’s sanding machines to their paint guns, from the tools used to apply the graphics onto the shells to assembly screwdrivers, and in general for any other manufacturing need. Compressed air is even used during homologation to perform the drop tests that ensure the absolute quality and safety of our product». NolanGroup’s fleet includes three Optima compressors and two from the Classic range. Optima 110 is the latest delivered machine. 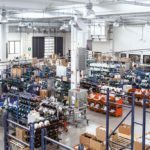 It is a variable speed compressor that comes into play when the production is at full capacity to ensure the correct operation of the factory. The inverter automatically adjusts the rotational speed according to the load profile, ensuring that the air delivered by the system corresponds to the actual demands. NolanGroup is headquartered in Brembate di Sopra, where in 1972 it all began thanks to the intuition of Lander Nocchi to utilise LexanTM *, an innovative plastic material that NASA had just made available for commercial uses. «I’ve been at NolanGroup since 1995 where I’ve seen the Mattei machines at work and I can confirm their reliability and efficiency. The compressors can easily withstand very intensive work cycles, avoiding production downtime that would be detrimental to an establishment like ours. The five machines, calibrated with different pressure switches, are always in operation, even at night with a reduced load to keep the valves under pressure. 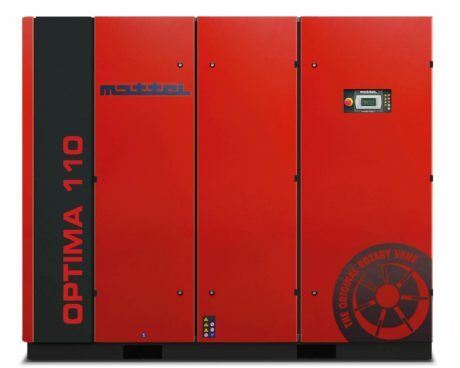 For the latest arrival, the Optima 110, I really appreciate the inverter functionality; this is an important feature which no industrial machine should be without, given the tangible benefits in terms of cost and energy savings», concludes Corna. * LEXAN is a registered trademark of SABIC.